The ISIS executioner known as 'Jihadi John' has today been identified as a university graduate from London. 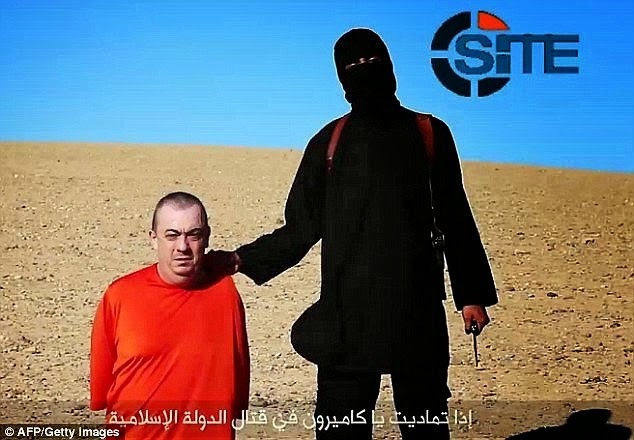 The man in the black cloth who beheaded several foreign hostages in Islamic State (ISIS) videos was identified by British security services as a British citizen from London. His name is Mohammed Emwazi, 27, of Queen’s Park, west London. Known in the news media as “Jihadi John,” he is said to have been born in Kuwait and traveled to Syria in 2012. The story was confirmed by a senior British security official, who said that the British government had identified Mr. Emwazi some time ago but had not disclosed his name for operational reasons. Mr. Emwazi, 27, grew up in the West London neighborhood of Queen’s Park and graduated from the University of Westminster with a degree in computer programming. He first showed up in Islamic State videos in August, when he appeared to behead the American journalist James Foley and deliver threats against the West.